Born and raised in the dangerous streets of Durham, a North Carolina native who goes by the stage name Dot Luciano is on the rise to success. His passion for music is unbelievably incredible. Every since the age of 9 years old, Dot has been dedicating his whole entire life to the world of hip hop. "I fell in love with music at a very young age", Dot stated, "Besides all of the shooting and other violent activities that goes on in Durham, I grew up around nothing but music because my dad was a well known local DJ. During the times when he did come around, he would always turn on the 1's and 2's (turntables) and do his thing." Dot has always been the type to absorb all there is to know when it came to music. At Radio One's first ever Music and Entertainment Conference in Raleigh, NC; a young and beautiful young lady inspiring to be an Entertainment Reporter for the music industry, had asked Dot, "What big names in hip hop could you say were your biggest influences?" With no hesitation, Dot replies, "My biggest influence is Tupac Shakur because he is the greatest, but my biggest influences in the game right now would have to be Eminem, Lil Wayne, Jay-Z and T.I. ", also adding, "but mostly Lil Wayne, not only because of his lyrical ability to destroy any track he approaches, but also because of his work ethic. The way that guy work is crazy and i respect his continuing hunger for what he believes in." Making perfect progress and living up to what he has been dreaming of since the age of 9, Dot has made it clear to the world and his surrounding peers that his hunger and his journey has and will not come to an end. Now working on his 5th project, Dot is letting it be known that he is sending a message to those who has ever doubted him. With his new single "Homicide", he is letting the world know exactly how real he is. 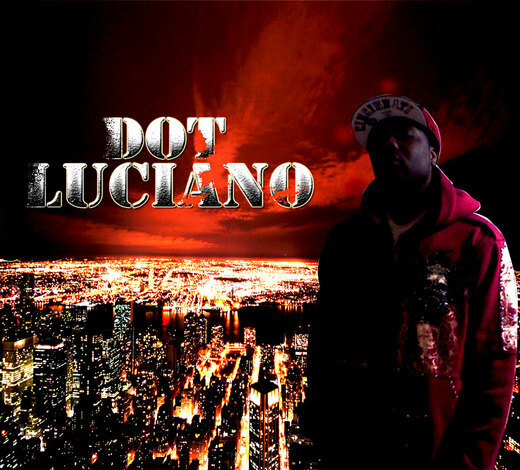 Dot Luciano is one of the country's most talented rappers to ever step foot to a mic. With so much determination, Dot is out to prove to the world that he is "THE NEXT BEST RAPPER".